The XT4 is the latest crossover for the Cadillac brand. 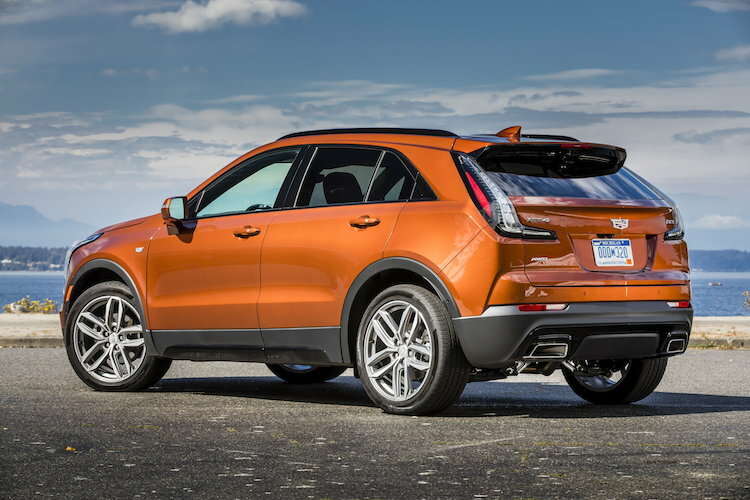 The 2019 Cadillac XT4 is an entry-level crossover for GM’s luxury brand. 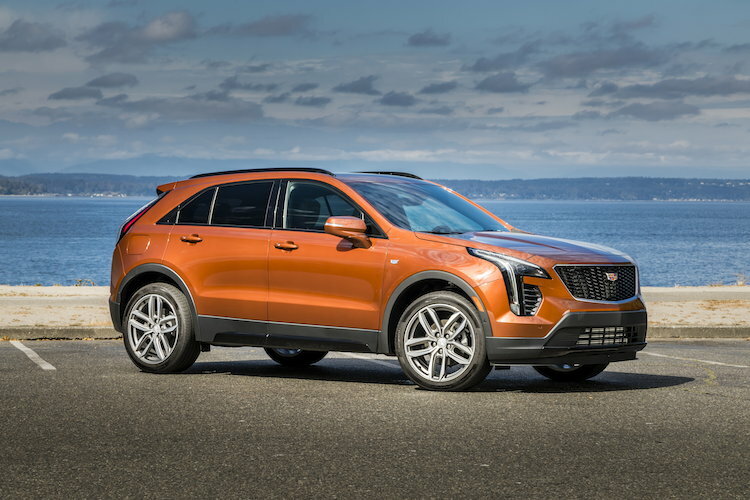 The 2019 Cadillac XT4 is a subcompact luxury crossover, the latest model for GM’s luxury marque. It has a bold style and delivers a quiet ride. However, its part-time all-wheel-drive system isn’t as user-friendly as some competing models. Cadillac’s XT4 operates in a segment occupied by the Audi Q3, BMW X1 and the Mercedes-Benz GLA. It is larger than the German trio, an edge Cadillac hopes to exploit as it markets its latest SUV. The XT4 slots beneath the compact XT5. The Cadillac Escalade remains the largest utility vehicle offered by the brand. You might also consider the Volvo XC40. The 2019 Cadillac XT4 offers room for five. Besides its spacious passenger space, the XT4 has 22.5 cubic feet of standard storage space. Fold down the rear seat and that space expands to 48.9 cubic feet. Powering all models is a turbocharged 2.0-liter four-cylinder engine with 237 horsepower and 258 pound-feet of torque. This engine works with a nine-speed automatic transmission. When equipped with the available towing package, this crossover can pull up to 3,500 pounds. This model has standard front-wheel drive and available all-wheel drive. Unlike some competing systems that automatically engage the rear wheels as they slip, the Cadillac system must be activated by pushing the appropriate button. When considering Cadillac’s smallest crossover, you have three trims to explore. The base Luxury trim is followed by Premium Luxury and Sport models, which are given equal weight. Package options for the base model include the Trailering Package ($300) and a Battery Protection Package ($130). A Cold Weather Package ($850, automatic heated steering wheel, heated driver and front passenger seats and heated rear outboard seats) round out the choices. 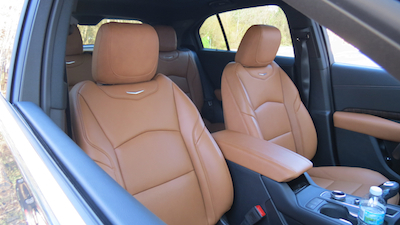 Both the Premium Luxury and Sport trims offer eight packages, including the three on the base model. Customers have a choice of Comfort and Convenience ($1,050 Premium Luxury; $2,400 Sport), Enhanced Visibility ($1,500), Technology ($1,650 Premium Luxury; $1,400 Sport), Driver Assist ($1,100) and Driver Awareness ($770) packages. Choose all-wheel drive and you’ll add $2,500 to your starting cost. The 2019 Cadillac XT4 Luxury is priced from $35,790, including a $995 destination charge. Standard features include LED headlamps and tail lamps, heated and power-controlled side mirrors,18-inch alloy wheels, and a manual liftgate. 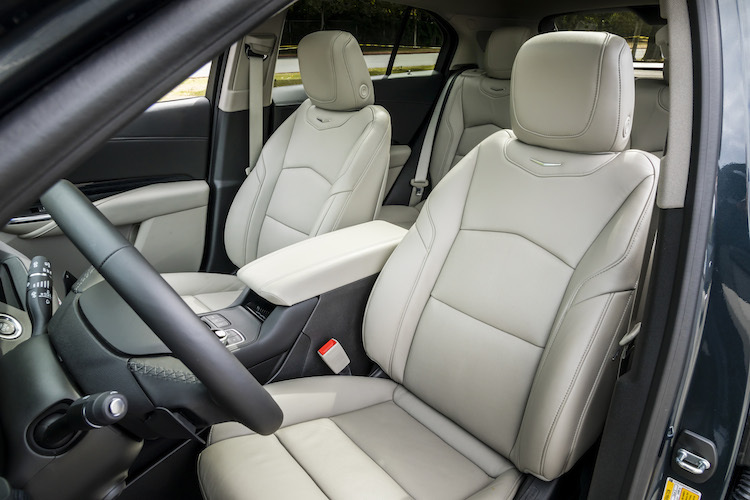 Inside, the XT4 has imitation leather seats, a power driver’s seat, a tilt-and-telescoping steering column, dual-zone automatic climate control, and four cargo tie-downs. Tech equipment includes an 8-inch touch-screen display, Bluetooth connectivity, Android Auto and Apple CarPlay smartphone compatibility, and a 7-speaker audio system. 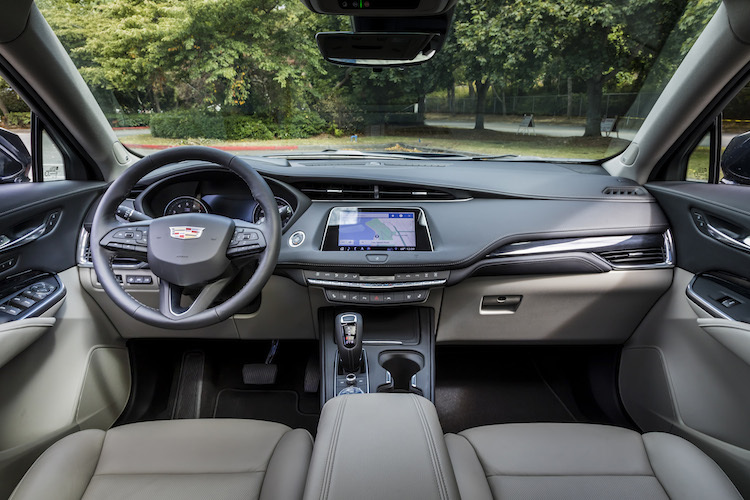 Cadillac also includes HD Radio, satellite radio, two USB ports, a built-in Wi-Fi hotspot and OnStar services. Safety features include an HD rear vision camera, Teen Driver monitoring and park assist. If you want advanced driver-assist features, you’ll need to explore the other two trims. Priced from $40,290, the Premium Luxury represents the middle model in the XT4’s product range. This one builds on the base model by adding roof rails, a power liftgate, interior ambient lighting and leather seating surfaces. You’ll also find front and rear park assist, lane change alert with side blind zone alert and rear cross traffic alert. Choose the Comfort and Convenience Package to gain such amenities as driver and front passenger ventilated seats, driver and front passenger seat massage control, an 8-way power front passenger seat adjuster (upgrade from 6-way), 4-way power driver and passenger lumbar control, and a hands-free liftgate. The available Technology Package adds such items as an 8-inch reconfigurable gauge cluster, a head-up display, a power rake and telescoping steering column, wireless charging and front cornering lamps and LED front turn signals. Sharing the same $40,290 price as the Premium Luxury is the XT4 Sport. Where the Premium Luxury opts for a luxurious take, the Sport puts its emphasis on sportiness. No surprise there. The most significant differences in this model include its sport mesh grille, gloss black exterior trim, sport tail lamps, carbon fiber or wood interior trim, power-adjustable seat bolsters and a sport steering wheel. Shoppers wanting driver-assist features will look at the Driver Awareness Package. This package includes low-speed forward automatic braking, front pedestrian braking, forward collision alert, following distance indicator, lane keep assist with lane departure warning and automatic high beams. There is also a Driver Assist Package, which adds forward and reverse automatic braking and advanced adaptive cruise control. From Cadillac’s perspective, the XT4 is just the tonic this luxury brand needed. Its low price point, roomy interior and peppy engine work to its advantage. That said, we think either the Premium Luxury or Sport trim will appeal to most shoppers as these offer the equipment and package upgrades shoppers want. Yes, you have to pay extra for some items that are standard equipment in models such as the Lexus NX. Overall, we think the XT4 offers a strong entry in the segment, although as of this writing we haven’t driven one. We expect that will change, therefore we’ll update this page accordingly. In any case, Cadillac offers incentives to current and conquest owners, which can lower your costs as you shop for the segment’s newest model. The 2019 Cadillac XT4 photos are copyright the marque. All rights reserved.